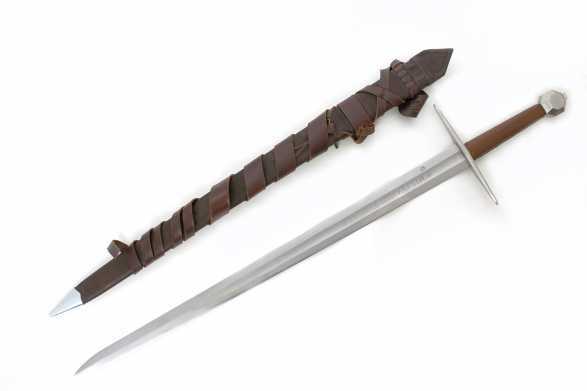 Classified as type Xa or XI, this 14th c. two handed sword presents one of the most significant war tool of the medieval period. Numerous two handed swords with slight variations were found throughout Europe, establishing a general conformity and a pattern of influence among smiths of the time. Various two handed swords are found in the Royal Armoury of Turin also known as the L'Armeria Reale, in the Imperial Treasury of Vienna, in the Royal Armoury of Madrid and in the Hermitage, Petrograd. This particular sword is based on a 12th century original found in the Schweizerishches Landesmuseum, Zurich. 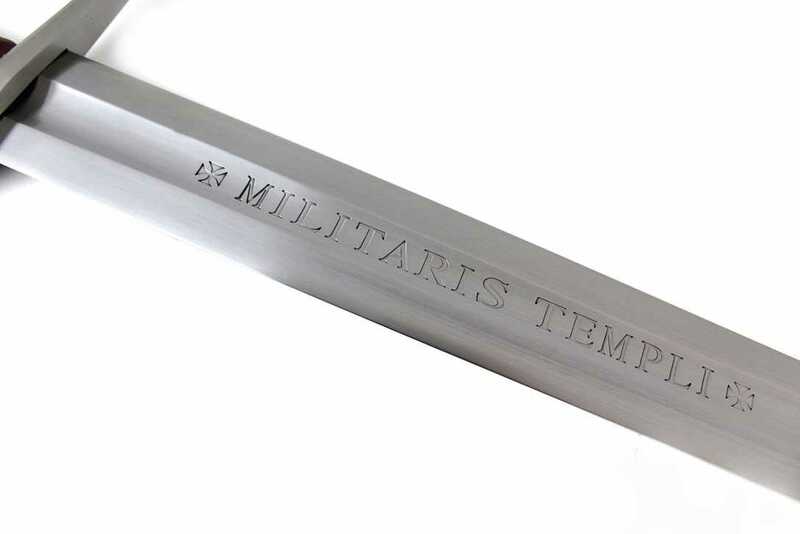 The massive 36” blade is given some additional character with an attractive etching – “Militaris Templi” (the Knights Templar) – along the central fuller. 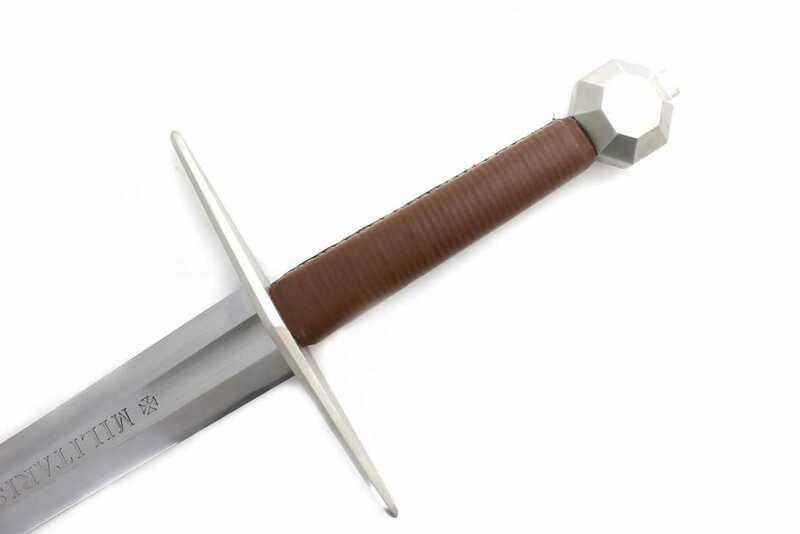 The hilt itself is extremely attractive and authentic, with a mild steel crossguard and genuine leather wrap handle. 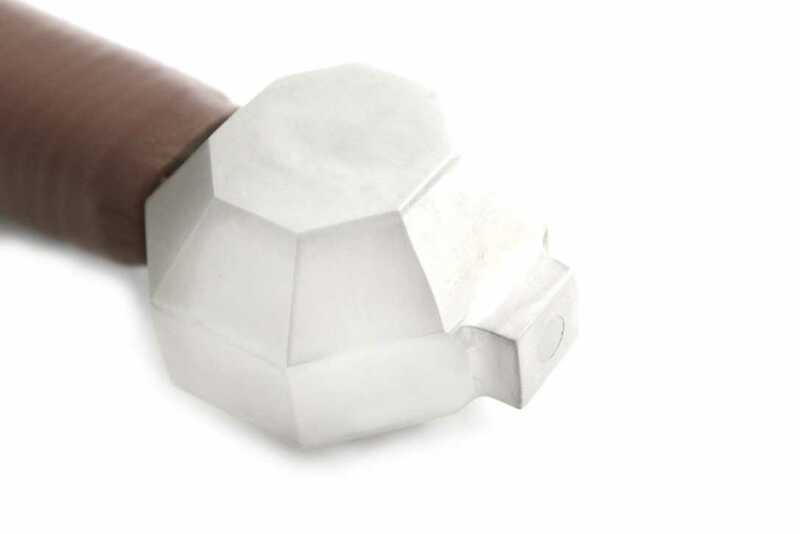 This sword has a type I1 Octagonal faceted pommel, a common feature on sword of this type and age. 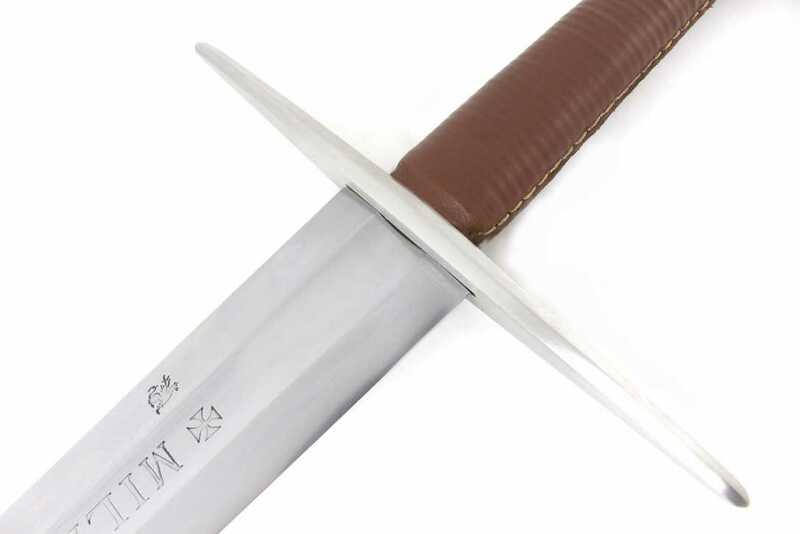 As you can see from the picture above, the pommel is also PEENED to the hilt for maximum durability. 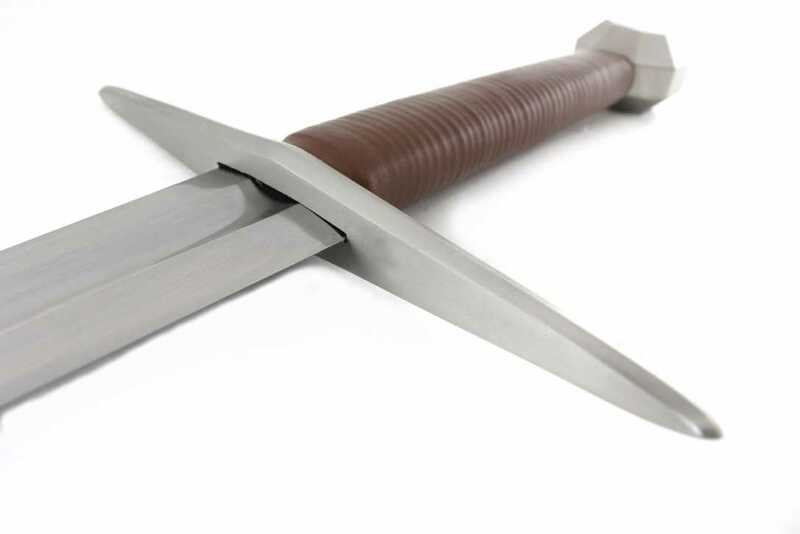 For fans of medieval swords OR for those interested in the Knights Templar (a very popular group in historical fiction these days!) 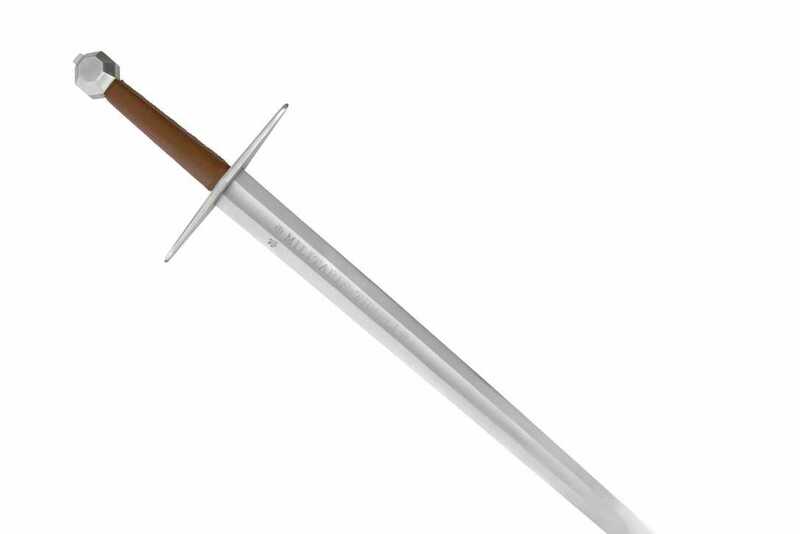 this is an ideal sword. 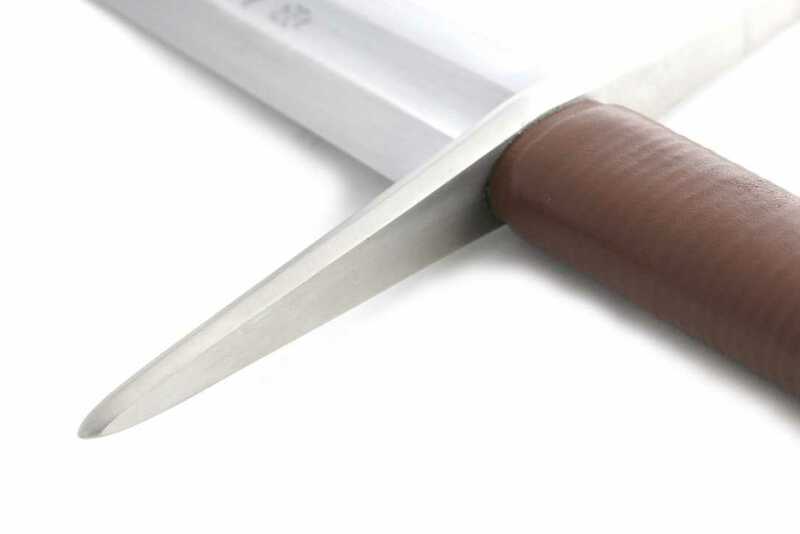 Weighing around 10-12oz more than the historical original, the balance of this sword (at approx 5” from the cross guard) is surprisingly good considering – and once sharpened, is more than capable of generating enough speed to cut even the lightest targets such as pool noodles (see review).